No ceramics maker gets along without a ceramic clay. Whether you are modelling or throwing, quality ceramic clay is a basis of ceramic production and has an important influence on the final shape of the product. 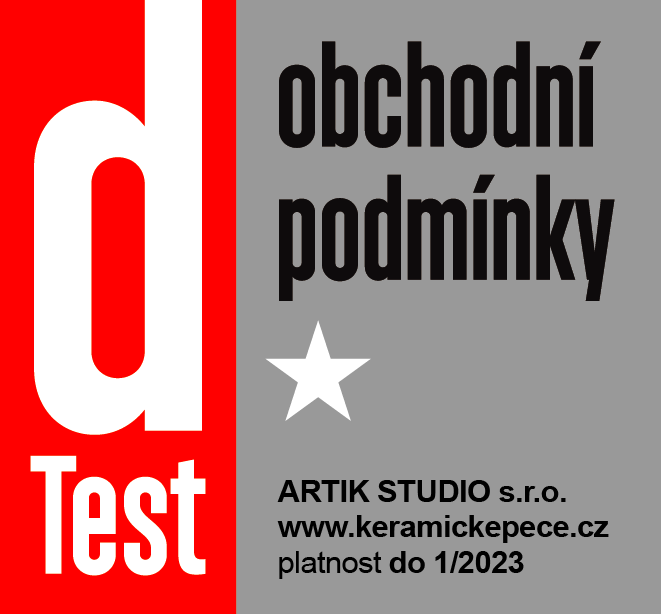 Not every ceramic clay is suitable for a specific type of ceramic technique. A suitable clay is selected with respect to the desired resulting colour and technical parameters that differ at different firing temperatures. In the process, every ceramics maker needs to find the ideal type of ceramic clay for the given type of activity. 2. Throwing (pottery) ceramic clay. In addition, there are also several types of self-hardening masses that are not based on ceramic clay and that are not related with classical ceramics at all. These are masses that are harden in air or at low temperatures, and so they are not intended for conventional firing. 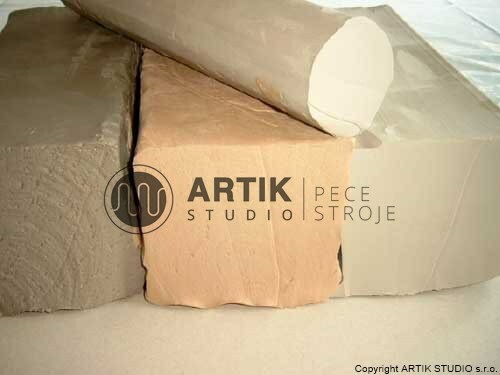 Modelling ceramic clays are used for purposes of modelling small ceramic products, sculptures, plastics and large-format sculptures. Modelling ceramic clays are delivered in smooth form or with a fireclay of various roughness (0,2 – 3 mm) and various colours. Thanks to its properties, the pottery ceramic clay is designed specifically for throwing purposes. Quality pottery clay can perfectly hold desired shape and is characterized by its great finesse and high plasticity, which is reached by this clay due to the high ratio of clays with high plasticity in the mass. For pottery ceramic clay, it is necessary to consider whether it is designed for beginners or professional potters. You should also take into account whether you are throwing higher or larger vessels – at these products, ceramic clays with addition of coarser fireclay are suitable in order to reduce the collapse of the mass so it is more stable. This is a deflocculated ceramic clay in a consistency that allows casting of mass into casting moulds (usually plaster ones. To reduce sedimentation, to ensure the required viscosity and thixotropy, various types of deflocculates are added into it. These masses are also known as casting slips. These are masses that don´t have to be fired. After modelling, it is sufficient for them to be harden in warm and the product will reach a certain hardness. Of course, it is not an adequate full-fledged substitute for the ceramic clay treated by firing, due to the reached hardness and firing properties. Non-firing ceramic clays have a very good plasticity and can contain cellulosic fibres to ensure dryness without breakage and cracking. When considering which ceramic clay is the best for you, it is necessary to think about a whole range of related factors. The most important one is the purpose of the use of clay, i.e. whether it will be used in production of decorative or utility ceramics, whether it will be used for production of big or small products and such. 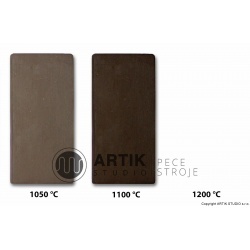 According to these specifics, we can choose the appropriate composition of the ceramic clay. 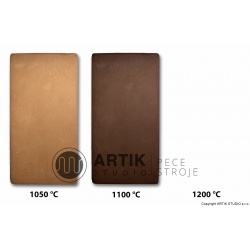 Another aspect for the selection of ceramic clay is its colour and desired technical parameters, because these parameters differ for the different firing temperatures, to ensure dryness without breakage and cracking! 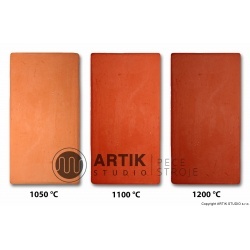 The colour of the ceramic clay varies depending on the temperature: the higher temperature, the more intense colour of a sherd. 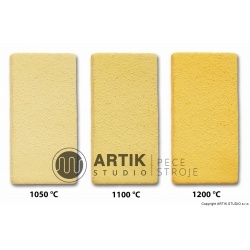 Regarding the firing properties, it is necessary to consider also shrinking factor when selecting a ceramic clay. When making decorative ceramics, it is necessary to calculate the shrinking coefficient, this means how much the product shrinks in individual phases of the production process. Already on drying, the sherd significantly shrinks, this shrinking is reported in % (so called drying shrinkage). Of course, when firing, the sherd logically shrinks too, while the rate of shrinking depends on the firing temperature and on the coefficient of shrinking of the ceramic clay itself (again, reported in %). On the contrary, for utility or outdoor ceramics, the main parameter of choosing is the so-called water absorption. It tells about the ability of the fired sherd to absorb water. The higher the number (reported in %), the more water a sherd can absorb, that means it is less sintered. A body is sintered (and suitable for utility, garden ceramics etc.) if its water absorption is less than 3%. This is related, among other things, to the percental ratio of fireclay in a ceramic clay, which always should be indicated on a packaging of a ceramic clay. Adding of a fireclay significantly influences technical parameters of mass, especially shrinking. 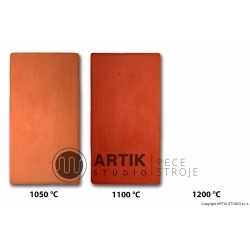 If you are not sure about the selection of a ceramic clay, do not hesitate to contact us. We will be happy to answer your questions and advise you. Our ceramic clays are manufactured in wet or semi-wet form (made of so-called flakes), not out of dry mixtures. However, a more demanding manufacture method has a significant influence on storage options. If the masses are properly stored in a non-damaged packaging and in the absence of light (reducing of a risk of mould formation), it is possible to store them in heated workshops of hobby nature. For long-term storage of our ceramic clay, we recommend placing them into less-heated rooms like garages, basements etc. Just put a clay into a strong black sack and tie it. The mass must not freeze, because after freezing, it needs to be worked out (re-kneaded). If you follow the above stated recommendations, our ceramic clay has practically unlimited storage period. Why buy ceramic clay from us? Quality and range of the offer – we offer only high-quality ceramic clay which is proven, and we have tested it personally. The main ceramic clay assortment we offer is from the German ceramic clays Witgert. The manufacturer Arno Witger, whose main source of clay is the Wester Wald location in Germany, has been producing ceramic clay since 1820, and thanks to its own testing laboratory and experience, its clay belongs to the highest-quality masses in Europe. 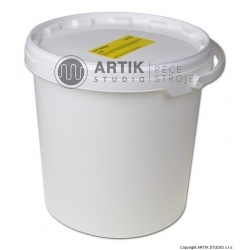 The offer of Witgert ceramic clays is also unique by its range of standard assortment, with more than 140 variants available for plastics masses. Quality ceramic clay goes through manufacturing testing and has a long storage period, because it is not made of dry mixtures. We are focusing on providing ceramic clays that are easy to work with, and on ensuring such materials that are high stable and have zero breakability and prone to cracking. 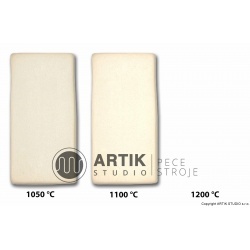 Price –we can offer interesting prices of ceramic clays. With a regular order of larger quantities of goods, we can agree on better prices than the ones given for retail and we are also able to offer interesting prices for the other ceramic assortment. 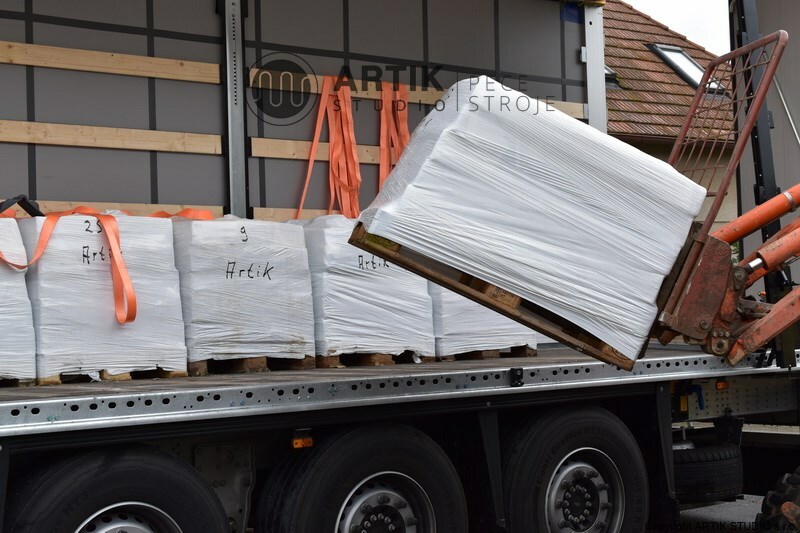 Standard prices are valid for a collection of 50 – 900 kg of the same type. 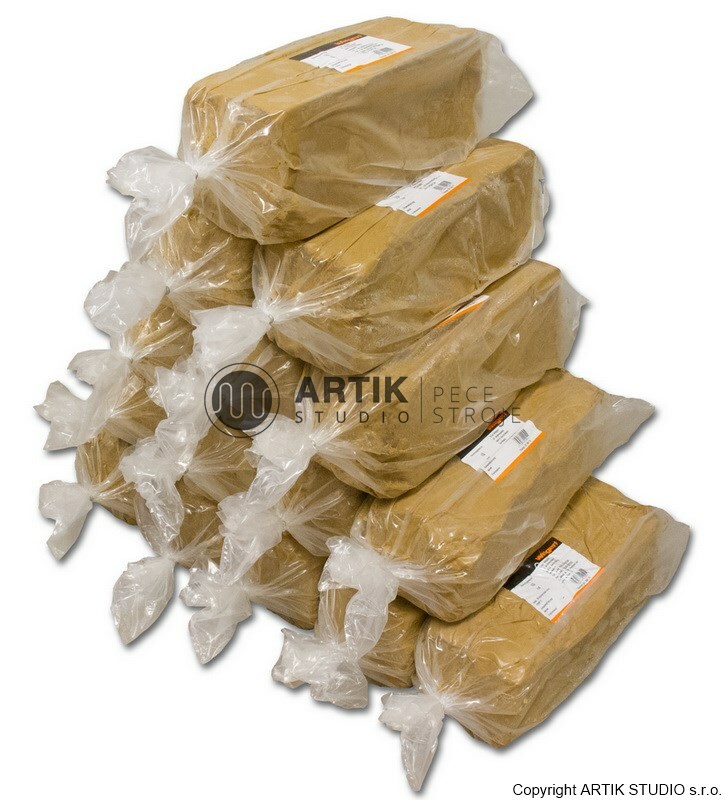 Premium packaging – clays are packed in packages of 10 kg, which are sealed in strong PE sacks and secured with an aluminium buckle. The mass can be carried easily and when using pliers, the packaging can be sealed again. Ceramic clay is adequately protected against drying and other negative factors that affect its quality. 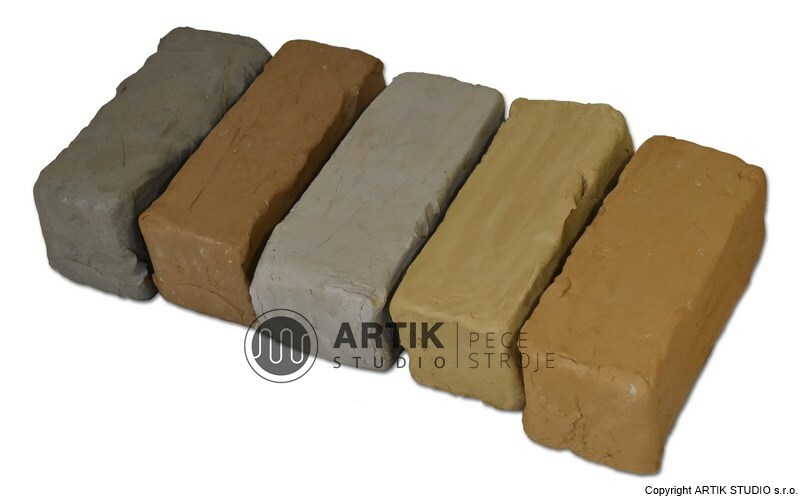 Fast dispatch – for our market, we have chosen around 20 most commonly used types of ceramic clays, which we normally have in stock, and are tested for use with our other materials we offer. Thanks to this, we can arrange dispatch almost immediately after the order and preparation the required quantity. Possibilities of our warehouse are extensive; the most used ceramic clays are always in stock. Information service – we distribute all ceramic clays carefully vacuum packed and equipped with necessary information on the composition and firing of ceramic mass. If you have any questions, either before or after the purchase of ceramic clay, we are happy to consult them with you. Casting slip in liqued form is ideall with our plaster moulds. It is well packed in 15 kg buckets. Defloctuants based on water glass, minimum life-time is 6 months. We mix the casting silp ourselves to provide always fresh batch.